Rick Warren - related deceivers - 9! … Warren camp will be burning the midnight oil for damage control on this one. Donald (Roddy) Clyde, 48, a 13-year pastor at The Fellowship at Forest Creek in Round Rock, TX (after successfully having its name changed), was arrested after it was discovered he stole a minimum of a half million dollars from the church. Mr. Clyde is regarded as a major leader in the Warrenism movement, and has led churches into the transition into the model as a leader of Church Transitions, Inc, which is a major player in the Warrenist movement. 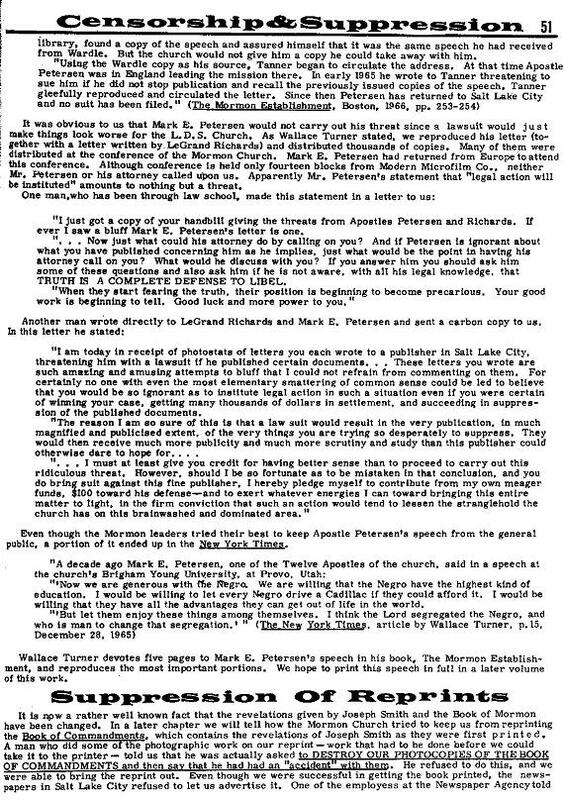 According to the Suzanne Sataline Wall Street Journal article last fall, Mr. Clyde's tactics are very reminiscent of Saul Alinsky, and he encourages churches which are planning a switch to Warrenism when they expel members for not supporting the movement, as they change churches, the Warrenist pastor should call the minister of the church which the expelled member is joining, and recommend banishing that person from any leadership role - in essence, if he tries to join the church, they recommend he not be permitted to be a leader in any organisation at the new church, and in some instances, may recommend the letter to join the new church be denied. It should be noted in Warrenist churches that the pastor is in near-absolute control of the church and acts like a dictator. A long-time Round Rock pastor was arrested after telling authorities he embezzled at least $500,000 from his church, according to court records. Donald "Roddy" Clyde, 48, turned himself in to authorities Wednesday and was charged with felony theft of more than $200,000 from the Fellowship at Forest Creek Church. Clyde's bail was set at $400,000, and he could face 99 years in prison if convicted. Clyde told police that he used the church's bank account and credit card to buy land, horses, vacations and other property, according to his arrest affidavit. Lawrence Swicegood, a church spokesman, said a private investigation is under way to determine how long the church has been missing money and how much might have been taken. Swicegood said a church accountant noticed some strange charges on the church credit card and bank account about three weeks ago. The church's leadership team then began to look at the receipts and charges, he said. Police interviewed Clyde about the charges Monday, and he stepped down that day. "The church has always been about the people and not about one individual," Swicegood said of the 1,500-member congregation. "We are greatly saddened that our pastor had to resign, but we are pulling together to meet the needs of the community and the church." Clyde's home in Round Rock's Forest Ridge subdivision is valued at about $350,000, according to the Williamson County appraisal district, and he also owns land in Taylor. Glenn Hamilton, a church member, said the congregation's feelings about Clyde, who had been at the church since 1992, are divided. "There are people that, despite what he's admitted to, don't want to go on without him, and then there are those that feel betrayed," Hamilton said. An Austin fraud specialist said that Clyde could have stolen more than the $500,000 he reportedly admitted to taking. "If he's saying $500,000, in my experience, I would look for a lot more because when perpetrators do estimate, it's always grossly underestimated," said Jim Ratley, president of Association of Certified Fraud Examiners. Roddy is a nation-wide transition coach and consultant and frequent conference speaker on topics of transition, leadership, lay ministry development and church planting. Some pastors learn how to make their churches purpose-driven through training workshops. Speakers at Church Transitions Inc., a Waxhaw, N.C., non-profit that works closely with Mr. Warren''s church, stress that the transition will be rough. At a seminar outside of Austin, Texas, in April, the Revs. Roddy Clyde and Glen Sartain advised 80 audience members to trust very few people with their plans. "All the forces of hell are going to come at you when you wake up that church," said Mr. Sartain, who has taught the material at Mr. Warren''s Saddleback Church. "There are moments when you've got to play hardball," said the Rev. Dan Southerland, Church Transitions'' president, in an interview. "You cannot transition a church……and placate every whiny Christian along the way." The one redeeming thing about this story is that he turned himself in. But this kind of self-serving attitude is so prevalent in these churches that focus on 'self-fulfillment gospel' or "purpose driven" or other corruptions of the Gospel. I wonder if the WSJ will allow Suzanne Sataline (I was her principal consultant for that story) to do a follow-up story now that Rupert Murdoch owns it?? ?